Dine in true Mediterranean style and share tapas with friends and family. 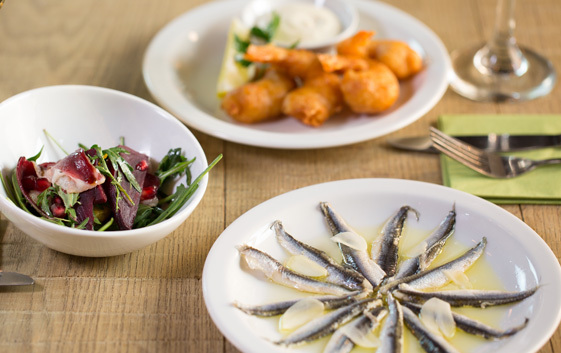 Our freshly cooked Mediterranean tapas are £4.95 each or any 3 for £13. Why not add a Paella Mixta for the table too.